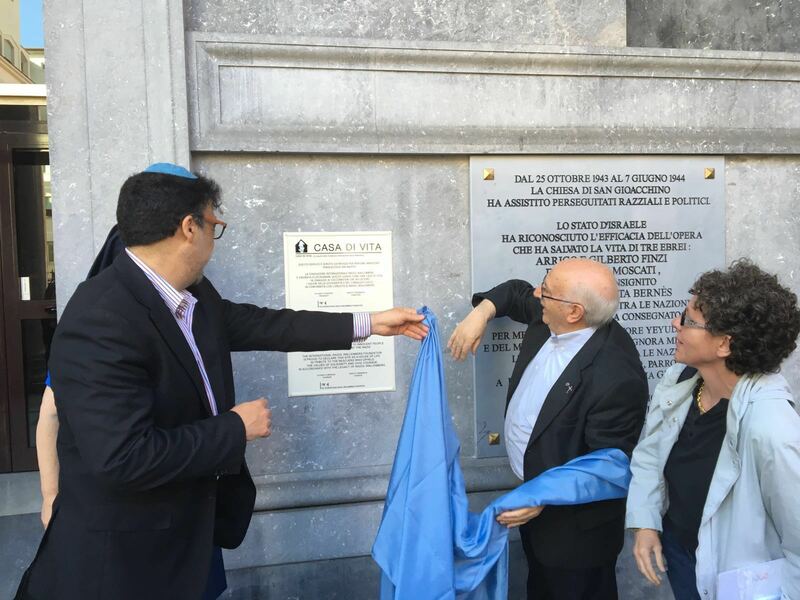 On 14 June 2016 the Raoul Wallenberg Foundation unveiled a plaque that declares and identifies as House of Life the church of San Gioacchino in Prati, in Rome. Dozens of children were hidden and saved there during the Holocaust. Among the attendants and speakers there were Father Ezio Marcelli, the priest that conducted the research; Miriam and Gianna Moscati, daughters of one of the people rescued; Enrico Modigliani from Projecto Memoria; Claudio Procaccia, Director of the Dipartimento Beni e attività culturali de la Comunidad Judia de Roma and Gennaro Colangelo, professor at the Università Lumsa. At San Gioacchino 35 people were saved, jewish individuals and political refugees. The ceremony was a tribute to the rescuers. Father Antonio Dressino and Suore Margherita Bernès, as well as to Pietro Lestini and his daughter Giuliana. Houses of Life is an educational program created and develop by the Raoul Wallenberg Foundation. 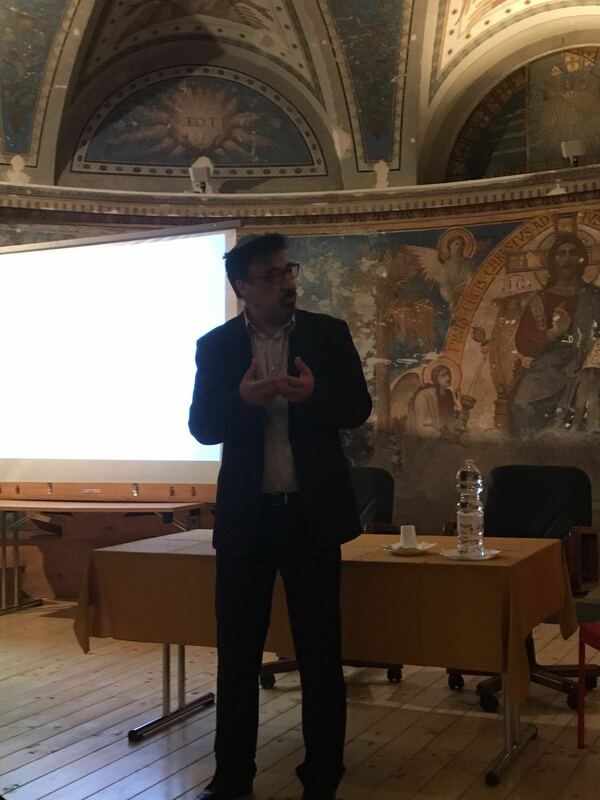 It was launched in 2014 and aims to identify locations, most of them religious ones, where persecuted people found refuge during Second World War. Padre Ezio Marcelli, Miriam and Gianna Moscati. So far, the Raoul Wallenberg Foundation, a global NGO chaired by Eduardo Eurnekian and created by Baruch Tenembaum, has located numerous buildings and institutions that qualify to be declared House of Life. In Rome alone almost two hundred were found. Other Houses of Life were identified in France, Poland, Greece, Germany and Denmark, among other countries. In almost all the cases the refugees were mostly children whose parents were taken prisoners and conducted to concentration camps. These children were protected until the end of the war when they were reunited with relatives that had survived. This is the case of Emmanuel and Raffaele Pacifici, sons of Rabbi Riccardo Reuven Pacifici of Genoa (killed by the Nazis), who were protected by Franciscan Missionaries of Mary, in Florence. A grandchild of them is the current President of the Jewish community in Rome. The purpose of the “Houses of Life” program is to identify and honor those who reached out and helped people in need by risking their own lives, as well as the life of family and friends. There are public places such as convents, monasteries, churches, schools, and privately owned homes, where Jews persecuted by the Nazis were sheltered and were given food and medicines. “Seventy years after the end of the Second World War this educational proposal has an impact as it acknowledges and awards those who were on the front line and risked everything to help their fellow man”, Eurnekian said. 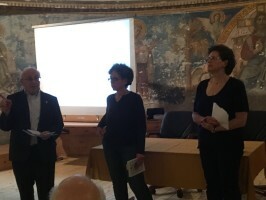 The program takes place throughout Europe with the cooperation of Aleteia, a Catholic news agency, and the participation of Silvia Costantini and Jesús Colina.